When a business sells items for you in exchange for a commission, it is called “consignment". Why is WeeUsables better than a consignment store? Consignors start at 65%, a higher percentage than a traditional consignment store. Consignors set their own prices. Consignors decide if the item will be ½ off on the last day. Consignors may earn more by helping 2 or more shifts at the event. Wee get more shoppers than a consignment store—3,000-5,000 in 3-4 days. Consignors may pick up any unsold items at the end of the sale. Consignors may transfer unsold items to another location or event. Consignors can get a tax deduction on unsold items not picked up and are donated to charity. Community event run by, and for, local parents held for 3-4 days. Shoppers can browse a huge amount of inventory, all at once. Prices are typically lower than a brick & mortar store. Why is WeeUsables better than a garage or yard sale? Wee get more shoppers than a garage sale—3,000-5,000. Wee have targeted shoppers vs the casual browser. Wee have a tagging service for busy families. Wee spray all bedding & upholstery for bed bugs per the state’s yellow label law. Why is WeeUsables better than a buy-sell-trade group? Save time buying/selling everything your kids need all at once, vs piece by piece. NO meeting strangers in a parking lot or in your/their home. Wee inspect the items brought to the sale to insure shoppers aren’t buying items with stains, holes, have been recalled or are expired. What if I have questions along the way or don’t know what to do? We are here to help you make $ so we have several resources available to help consignors at every step! Follow all of the steps to prep for the event under the "Consigning at WeeUsables" section of this website. Once registered, new consignors will begin receiving emails with tips and suggestions. Also, all consignors will be invited to join the current season Facebook Consignor Group. This group is a great way to crowd-source answers or ask us directly. We’ll send out emails and post info directly to the Facebook consignor-only group page. Finally, you can reach us directly through our Contact page—along with Facebook message, email, or call. Please click here for any disclaimers. It’s easy and quick—click here to register. When you register, you’ll be given a unique consignor #, which will be yours anytime you participate in a WeeUsables event. Are there different types of consignors? Yes, in Lancaster there are three (3) consignor types—Regular Consignor, Equipment Only Consignor and Restocking Consignor. In York, there are two (2) consignor types—Regular Consignor and Equipment Only Consignor. For more info on Consignor Options By Location, click here. Yes, there is a small fee per location to help cover rental fees, advertising and other expenses. This fee varies by location and the type of consignor. However, we want families to try WeeUsables so we will refund NEW / FIRST-TIME CONSIGNORS their registration fee (excludes New / First-Time Wee Tag For You consignors). This fee will be refunded through the consignor’s earnings after participating in the event. However, if a new consignor does not enter, bring or sell items, this fee is non-refundable or transferable. Can I reuse my consignor number from the last sale? Yes, consignors who participate in consecutive sales keep their consignor number. Do I have to re-register for each sale? Yes, consignors are not automatically registered for the next event and must re-register each time. What items can be sold at WeeUsables? Generally, WeeUsables accepts a variety of new and gently used maternity, baby, and children’s merchandise including clothes (preemie to kids size 20), toys, strollers, bikes, books, bouncy seats, children’s games, DVDs, nursery items, furniture and much more. Please review the What to Sell page for a complete list of acceptable and unacceptable items. What is the minimum number of items I must consign at an event? All (regular and restocking) consignors must enter and bring a minimum of 25 items to the sale to participate. Equipment Only Consignors have a 10 item minimum. Those under these minimums, may be deleted as a consignor and WeeHelper shifts, cancelled. Is there a maximum number of items I can consign? At the Lancaster location only, REGULAR & RESTOCKING consignors have a 100 item limit on HANGING children’s clothing and a 20 item limit on HANGING maternity clothing. Additional boys clothing may be accepted in restocking. Please see the "What to Sell" page for more info. Currently, the York location does not have any clothing limits. Do consignors have to supply their own hangers? Consignors do supply their own hangers. Click here for some ideas on where to find them free, or really cheap! Do consignors get their hangers back? No, that’s why it’s best to find free ones. If you need to buy hangers, add the cost into the price you are charging for the item to help off-set this cost. Where can consignors find hangers? What if I consign in Lancaster and have more hanging clothes? First, we ask that you pick the BEST 100 hanging children’s items and 20 hanging maternity items to sell PLUS freebies. BUT, if you have more to sell, contact us quickly for the current options. What happens if any of my items don’t sell? 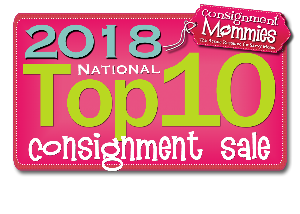 After the sale, unsold items may be picked up by the consignor during the designated consignor pickup time. Then, ANY items left past pickup become the property of WeeUsables, no matter if the item was marked Donate Yes or No. We will gladly distribute all unsold items to local charities who benefit families in our community. Can I transfer unsold items to other sales? YES! You may transfer unsold items without having to retag to future WeeUsables or other MyCM software sales. Consignor's price their own items – lower than store prices – saving you up to 90% off retail! Better than a garage sale? Don't drive all over town – at 5am! Get a wider variety, better quality, safer products – all in one place! Better than a buy-sell-trade group? Don't meet in a parking lot! Buy clean, safe items in a family-friendly venue with no haggling!